The preceding headlines appeared at The Huffington Post on Tuesday, December 9, 2014. This day will forever be remembered as the day the CIA was outed once and for all. Outed for only a small fraction of its countless crimes against humanity. To call the CIA a rogue agency is to grossly understate the massive, multi-decade crime spree it has perpetrated against the community of nations and people of the world. There is no other federal department, bureau or agency that has overtly been given both the budget and governmental approval to commit capital crimes at will. From the assassination of heads of state to the mass murder of innocents in foreign lands; from torture to kidnapping; from false flag attacks on civilian targets to drone missile strikes on wedding parties; from extraordinary rendition to black site prisons, the list of odious crimes goes on … and on … and on. The CIA always does it their own way, without regard to law or statute, rule or regulation, ethics or morality. Truly, the Central Intelligence Agency is the ultimate example of state-sponsored terrorism, government-sanctioned criminality and bureaucratic lawlessness. After all, whatever black operations are not performed under cover of black budgets, are necessarily conducted with US tax dollars and in our name. Do we really want to know what manner of CIA-fabricated plots have been conducted in our name? The answer is simple: The taxpayer has a moral and civic obligation to know how their tax remittances are being used to kill, maim and torture people abroad and at home. Not to know represents a tacit approval of such reprehensible and savage behavior. Once the citizen pays for an assassination or kidnapping, that is perpetrated in the name of the United States of America, there is ownership whether you want it or not. Similarly, if you regularly vote for a political leader who is a known war criminal, and then he goes out and commits genocide, guess who is also responsible for the suffering associated with that genocide? How is it that so many voters misunderstand or are ignorant of this crucial element of civic responsibility?! For instance, every person who voted for Barack Obama the second time around knew that he earned the right to be called the Drone Ranger, a CIA pet project if ever there was one. When he continued the killing spree by drone in his second term, his many supporters inherited the “karma” in light of their foreknowledge. Hey, just know that that karma really bites when you least expect it. The following list of headings just appeared in a single article which conveys some of the more abhorrent CIA conduct against living humanity. Just what does a CIA Horror Show really look like? After all, unless the American people take a close look at what is being done around the world — 24/7 — in their name and with their tax dollars, it will continue ad infinitum. So at the risk of alienating some in our readership, here are a couple of links which capture exactly what our illustrious CIA performs on our behalf. Here’s another rather extended headline with key bullet points from a major daily in the UK (Mail Online). Where does the nation go from here? With this damning and indisputable information now in the hands of every American it is critical that an appropriate and measured response be taken. Not to address the ongoing atrocities and barbarity, misdeeds and wrongdoings, excesses and indiscretions only perpetrates such a cycle of institutionalized criminality. Therefore, perhaps it is time to go back to the very roots of this depraved organization in order to ascertain why it should ever exist in the first place. It’s last incarnation was called the OSS, the Office of Strategic Services. Their real problems began at the OSS when Operation Paperclip was allowed to run its course. This misguided initiative, although it may have had reasonable intentions, was designed to fail miserably. Here’s the cover story before we provide the not-so-well-known backstory. On the face of it this plan seems to have had an important objective; however, it also came with a HUGE catch. Their were certain rogue elements and intelligence assets which came from Nazi Germany along with the “1500 German scientists, technicians, and engineers”. One of those characters was Reinhard Gehlen, a true Nazi operative if ever there was one. So determined was Gehlen to associate with the Central Intelligence Agency that extraordinary measures — at the very highest levels of the US Government — were taken to ensure that that marriage took place. And so it did in the form of the Gehlen Organization. In the ultra-secret circles where military and civilian intelligence organizations intersect, it is understood that this association created an environment whereby many of the worst tactics and techniques from Nazi Germany found there way into common use throughout the CIA. 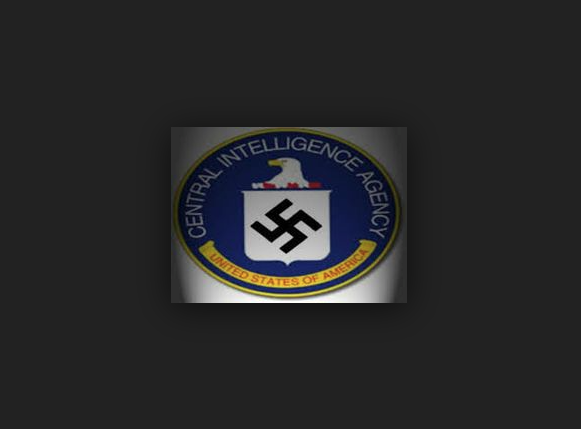 The depth and breadth of the CIA’s appropriation of so much of the Nazi war criminal infrastructure and apparatus is not well understood by many, even by those initiated in the upper echelons of the military intelligence and secret services. The tradeoffs and compromises that were necessarily made during the transitional absorption of Nazi personnel and assimilation of German knowhow were simply too radioactive (read: highly classified) for anyone to know except those very few privileged decision-makers at the top of the OSS leadership. Therein lies the root cause for so much of what is profoundly wrong with the CIA. A glaring example of just how wrong things would go is the highly consequential case of Allen W. Dulles, the first civilian director of the CIA. Dulles was fired by John F. Kennedy shortly after the CIA-coordianted Bay of Pigs fiasco. The whole top tier of the CIA was immediately relieved of their duties for their blatant insubordination. Nevertheless, Dulles was determined to get even with JFK. And he did, before and after LBJ appointed him to the Warren Commission. There are now numerous reports which contain high integrity research and authoritative investigations into the CIA’s direct involvement in the assassination of John F. Kennedy. As a matter of fact, highly credible evidence and testimony points directly to CIA planning, implementation and coverup of JFK’s cold-blooded murder. Kennedy knew that eventually someone at the highest levels of the CIA would commit the egregious error of utilizing The Company for domestic purposes. With the ignominious firing of the once all powerful Allen Dulles, perhaps he even knew that he would be the first stateside target. When in the course of creating the U.S. National Security State the CIA was chosen as the very foundation for the architecture, the whole enterprise was set up for an inevitable and monumental failure. The treasonous false flag attacks on 9/11 dramatically illustrated the shortcomings of such a rogue agency, as did the traitorous assassination of John F. Kennedy. When the CIA will so boldly assassinate the President of the United States of America, what won’t they do, and get away with?! The following video provides a rare glimpse of ex-CIA Director Allen Dulles manipulating the media and controlling the Warren Commission investigative process in Dallas in July of 1964. 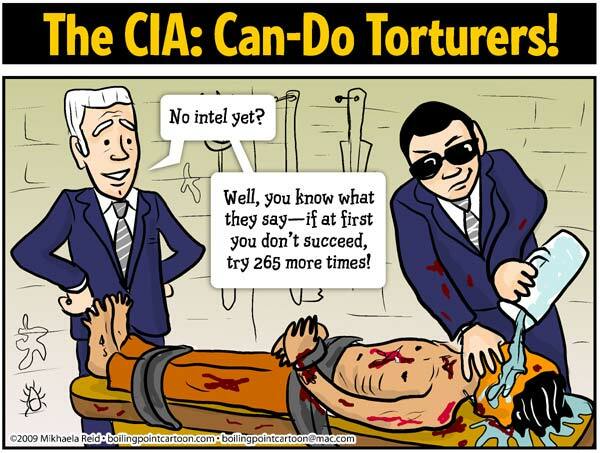 Only seeing is believing what the CIA is truly capable of. We took no satisfaction in the writing of this exposé. Nonetheless, this story needs to be disseminated so that informed decisions can be made about the future (or lack thereof) of the CIA.